LINE HARDWARE STORE UNIQUE DECOR & GIFTS Serving Houston for 67 Years Ultrasonic Dry Misting Fan Stay cool and pest free! All New! Daniel Boone Prime Pellet Grill This new grlll is even smarter and stronger! More consistent grill temps 458 sq. in. of grill space Dual meat probes Faster startup, greater fuel economy, wifi, And more! Fan features include: wireless remote, Bluetooth speakers, USB port, ionizer, aromatherapy dispenser and repellant packs repel mosquitos for up to 12 hours. MSRP $399.99 our price $299.99. Gas or battery powered, we have it. Stihl gets the job done! with these ultra-durable, fade-resistant, easy to install art poles, birdbaths and bird houses. In our March story about what’s new at design fairs in Paris and Cologne, we selected images that reflected those new furnishings coming on the market. Designer Anne Breux did also provide photographs that demonstrated the impact of Mies van der Rohe and Philip Johnson on the Houston architectural landscape. Due to space limitations we were not able to include those images. 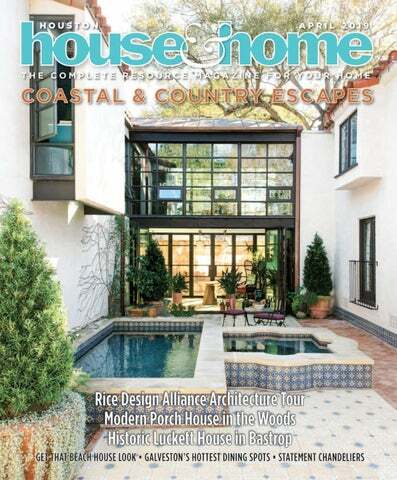 Blue Thumb Inc., dba Houston House & Home ("HH&H"), is a news magazine with emphasis on interior design and remodeling. HH&H does not knowingly accept false or misleading advertising or editorial content, nor does HH&H or its staff assume responsibility should such advertising or editorial content appear in any publication. HH&H has not independently tested any services or products advertised herein and has not verified claims made by its advertisers regarding those services or products. HH&H makes no warranties or representations and assumes no liability for any claims regarding those services or products or claims made by advertisers. Readers are advised to consult with the advertiser and/or other home repair and renovation professionals regarding the suitability of an advertiser’s products. No reproduction is permitted without the written consent of the Publisher. Copyright 2018, all rights reserved. HH&H is distributed at most Houston area Randalls and HEB stores. 713.272.6224 | www.colonybuildersinc.com Schedule Your Free In-Home Consultation Today! FREDERICK BUILDERS & REMODELERS, INC.
Use Amitha Verma chalk finish paint, sealers, antiquing glazes and brushes to breathe new life into dark furniture. Coat your project with Amitha Verma clear wax, then finish it off with brown or gray wax. Amitha Verma’s innovative chalk paints allow you get started fast on any project, without stripping, sanding or priming. To achieve this casual but elegant look, consider using light finishes on the floors, walls, backsplash, fabrics and furniture. See how new paint, smart-technology fabrics, and a little bit of love have transformed the old, dark sofa shown above. What color is your next project? Choose from Azure green, Belgian blue, Chambord Gray, Champagne yellow, Chantilly white, French gray, Jardin green, Latte beige, Manor beige, Noir black, Provence blue and Stone gray. For lighting in the living room, dining room, entryway or other areas, Verma likes the beaded chandeliers that are affordable while also making a statement. So, although a room’s hard surfaces are painted in basic, subdued and muted tones, she brings the necessary color into a room through art, rugs and other furnishings. One of the popular techniques Verma teaches in her workshops is a layered chippy (or crackle) paint look that gives furniture or furnishings an aged and casual flair. Verma, an interior designer and antiques dealer, says not all pieces of furniture are candidates for updating. Fine antiques should not be painted, but items that are in poor condition or vintage pieces that have no real value can be enhanced, up-cycled and made to look old again, but this time with style. Verma offers hands-on classes each month: a beginners class as well as one that teaches advanced techniques, such as distressing, two-color layering and intricate detailing. “It is not difficult to do but the change to each piece gives it a whole new life,” she says. RESOURCES Amitha Verma Chalk Finish Paint (Paint, wax, finishes and brushes) 832-831-0949 1200 Blalock amithaverma.com Start small by bringing a simple piece to one of Amitha Verma’s “happy hours,” or consider attending a pro class to learn about more advanced techniques. Don't miss Amitha Verma's beginner and advanced hand-on workshops, as well as her happy hour bring-a-piece-to-paint parties at her shop. n his poem, Mending Wall, Robert Frost debates the concept of whether “good fences make good neighbours.” As the spaces between homes get ever more narrow, a good fence often does help, but what about those intruders who climb under, over or through those fences? From mosquitoes and flies to wildlife and feral cats, sometimes we need a little help protecting our homes and gardens from invasive species. into our yards and homes. Venomous snakes such as copperheads, cottonmouths, rattlesnakes and coral snakes are a danger to family and pets. Rats and mice have been known to spread more than 35 diseases, transmitted through live or dead rodents, or by contact with feces, urine, saliva or their bite. The good news is that there are folks who not only aren’t afraid of these creatures, they’ve also developed humane ways to remove and relocate them, far away from your home. In fact, companies like Animal Control Wildlife Inc. have even been called on to remove coyotes, alligators, wild hogs, gophers, skunks, bats, bees and squirrels. And we thought we had problems! months, while trackless curtains are simply pulled back when not needed. For a more permanent solution, consider installing a screened porch or patio enclosure. It’s a chemical free alternative to those annoying insects, while still allowing you to enjoy those refreshing breezes. Texas Patio Covers can design a custom solution — either built from scratch or installed over an existing patio or deck — letting you enjoy the outdoors all year long. ABOVE: Consider the humane trap-neuter-return protocol for feral cats. Photo by Paul Sullivan/Flickr via CC. BELOW LEFT: Call Animal Control Wildlife Inc. for raccoon problems. Photo by Neil McIntosh/Flickr via CC. BELOW RIGHT: Harris County Public Health suggests oil of eucalyptus as protection against mosquitoes. FERAL CATS Everybody knows that colonies of stray cats can grow exponentially if left unchecked, giving birth to as many as three litters of kittens each year. Homeless animals are a national problem and one solution is through TNR, the trap-neuterreturn protocol that halts the breeding cycle of feral cat colonies. If you don’t really mind having a cat or two around — they’re great for eliminating rodents from the area — but you really don’t want their numbers to grow, consider TNR. Friends of BARC will help by loaning traps and supplies, issuing a voucher for surgery at area clinics, and offering advice about trapping and surgery aftercare. “Uninvited guests seldom meet a welcome.” — Aesop Make C&D Hardware & Gifts your secret weapon in the battle against mosquitoes. LEFT: CoolZone CZ500 Ultrasonic Dry Misting Fan with Bluetooth technology, with refillable mosquito repellent function for outdoor use. RIGHT: Long-lasting and continuous Spartan Mosquito Eradicator. BOTTOM LEFT: Patio Egg mosquito deterrent diffuser. BOTTOM RIGHT: Skeeter Screen is a DEET-free spreadable insect deterrent. pring is prime time for a road trip south to take in coastal views, ocean breezes and plenty of patios for al fresco dining. Once you get a taste of the Gulf shrimploaded gumbo, tantalizing steaks, fresh grilled fish and kickedup po’ boys, you’ll want to stay all week. ere’s a quick, low salt recipe from Olympia Grill in Galveston made from spices you probably already have in your pantry. Use it to season fish, shrimp or other seafood and meats. oad-tripping is one of the great American pastimes. Whether you’re looking forward to a few extra days off during the Easter, Memorial Day or Independence Day weekends, or you’ve got some vacation time built up and you’re itching to spend those days, we’ve mapped out some fabulous driving vacations not too far from Houston. SAND BETWEEN YOUR TOES There’s nothing like a trip to the beach and thankfully we’ve got miles of them along the Texas Gulf Coast. From sunrises and sunsets over the water, to looking for seashells or touring historic buildings, we’re recommending Galveston for a day or weekend trip and Rockport if you’ve got the time. In Galveston, history buffs will want to check out the 1877 Tall Ship Elissa at the Texas Seaport Museum, the historic homes tour in May, and the Galveston Railroad Museum. Music lovers can enjoy regular jazz events at the Tremont and Hotel Galvez and, beginning in June, live music and fireworks at Moody Gardens and concerts at Ashton Villa. Connoisseurs of the finer things should consider the Galveston Island Wine Festival and the recurring ArtWalk. While in Rockport, be sure to visit the Texas Maritime Museum, don a hard hat at the Fulton Mansion, and visit the Fulton Schoolhouse Museum and Rialto Theatre. Nature-lovers will enjoy the flora and fauna at the Aransas National Wildlife Refuge; and can’t miss celebrations include the “Taste” of Rockport-Fulton, the kite festival, and the Rockport Wine Festival. In our calendar we’ve also included important dates for other coastal stops along the way. 5 bedrooms each with private bath. Full breakfast included. 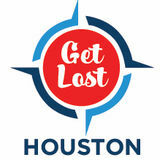 POINT YOUR WAGONS WEST Head west on Highway 290 or Interstate 10 and discover a part of Texas that seems far removed from Houston’s concrete jungle: gentle rolling hills, green pastureland that goes on for miles, and small towns that still have one foot planted firmly in the past. Underneath that sleepy facade you’ll find robust cultural communities with fine art, live music and celebrations of everything from bluebonnets to cotton. Explore the rich history of Texas in Chappell Hill, Brenham, Washington and Burton. Washington on the Brazos State Historical Park, the Antique Rose Emporium and the Burton Farmers Gin should all be on everybody’s bucket list. Historic downtown Brenham has become a hot spot for live music and eclectic dining, plus original murals and an antique carousel, but don’t overlook a tour of the Blue Bell Creameries. Chappell Hill has a lavender farm and its own Main Street shops, and grave sites from the Crockett and Travis families can be found in its historic Masonic cemetery. Continue your historical tour in the towns of Fayetteville, Gonzales and Bastrop. Fayetteville celebrates its popular ArtWalk and Chamber Music Festival in May, and bicyclists from all over converge in June for the Summertime Classic. Gonzales — home of the Come and Take It Paddling Trail — has livestock shows and rodeos in the coming months, plus tours of historic homes, the county jail and Pioneer Village. There’s something for everybody in Bastrop: walking and driving tours of historic homes, a luxe spa day at the Hyatt Regency Lost Pines Resort and Spa, communing with nature in the state park, or enjoying the Sherwood Forest Faire in nearby McDade. Adrenaline junkies will want to Zip Lost Pines or hit up the Cotton Bowl Speedway in nearby Paige. If you’ve got an extra day, we recommend driving a bit further to explore the towns of Wimberley, Fredericksburg, Stonewall and Kerrville. Fredericksburg is celebrating wildflowers and antique tractors this season and nearby Fort McKavett has its Heritage Days in May. Stonewall puts its focus on lavender and the mighty peach, while Kerrville is known for its folk and arts festivals. Try to visit Wimberley in May to tour the beautiful gardens, then visit some of the local wineries or take time for a swim at Blue Hole. HEAD FOR THE BORDER While we all anxiously await the bullet train between Houston and Big D, the highways are still the best way to get to north Texas. Some of us have folks in the Dallas-Fort Worth area, and others are attracted to the varied landscape and myriad cultural opportunities further from home. McKinney’s a great starting point with its historic downtown district. The Collin County History Museum is featuring a “McKinney, Then and Now” exhibit and this month also brings Arts in Bloom, a celebration of art and wine. If you find yourself in town come July, don’t miss the Red, White and BOOM! event with a parade, car show, concert and fireworks. For a look at history, explore the historical sites around Denton or find yourself in Lewisville for the 75th Anniversary Commemoration of D-Day in June. Architecture buffs should check out the Turtle Creek home tour this month in Dallas or the Gingerbread Trail in Waxahachie come June. We loved the treasures from Paul Michael Company when it popped up at Round Top last month. Dig deeper at their brick-and-mortar location in Canton and try to get there during Mayâ&#x20AC;&#x2122;s balloon festival. Continue that shopping spree at Antique Alley Texas, so big that it spans two counties. Celebrations for wine, art and music abound in this region. Thereâ&#x20AC;&#x2122;s the Granbury Wine Walk in April, a butterfly festival in Plano in May, tours of the gardens in Celina come June, and a peach festival in Weatherford this summer. Dig deeper with our all-inclusive calendar. March 1-April 14, Tulip Festival Month, Waxahachie, waxahachiecvb.com April 6, ColorPalooza, Lewisville, cityoflewisville.com April 6-May 27, Scarborough Renaissance Festival, Waxahachie, srfestival.com April 7, 18th Annual Turtle Creek Tour of Homes, Dallas, turtlecreekassociation.org April 12-14, Arts in Bloom, McKinney, mckinneytexas.org/687/Arts-in-Bloom April 13, Easter Egg Roll, Denison, visiteisenhowerbirthplace.com April 13, Classic Truck Nationals, Waxahachie, classictrucknationals.com April 19-21, Antique Alley Texas, Cleburne, Grandview, Maypearl, Alvarado, Venus, Keene and Waxahachie, antiquealleytexas.com April 25-28, Crossroads of Texas Film & Music Festival, Waxahachie, waxahachiecvb.com The Tailwind Regional Balloon Fest in Canton takes place May 17-18. Photo by Sky High Perspectives. The Oak Motel is in the heart of La Grange, Texas. It includes the 18 room motel and the adjacent 1907 Joseph Koss House. We are located one block from historic Fayette County Courthouse Square, near Hank’s Express and Subway restaurants. The property is newly remodeled and features a large deck in back. The Terrell Jubilee runs on April 25-28. Photo by Maverick Services. WHERE THE LIVIN’ IS EASY Point the car eastward and you’ll soon find yourself in Louisiana, home of Cajun culture and a laid-back, easy vibe. We’re partial to Acadia Parish: It’s a much shorter trip than New Orleans, nestled between Lake Charles and Lafayette, with a cluster of fascinating towns and attractions. We have to begin with Rayne with its hoppin’ Frog Festival in May, but the town also is known as the “Louisiana City of Murals.” Other points of interest in Rayne include Landry’s Feed Store, No-Name Vinyl Records & Music, St. Joseph’s Cemetery and the historic Worthmore’s 5-10-25 Cent Store, which was established in 1936. Don’t overlook Crowley with its 1920 Crowley Motor Co. & Ford Building, the retro ‘50s diner Frosto, the Grand Opera House of the South, the historic Rice Theatre, Kelly’s Landing Agricultural Museum, Landry’s Feed Store, Rice City Kitchen (the town is home base for the International Rice Festival in the fall), and Master-Trak Sound Recorders, Louisiana’s oldest recording studio. No trip to Acadia Parish would be complete without stopping in Church Point to see the railroad depot and La Vieux Presbytere, an 1887 structure that is listed on the National Register of Historic Places. Discover more at acadiatourism.org/attractions. for a family vacation or holiday, fitness vacation, company retreat, church retreat, family reunion, or other group event. Saddle up and live your dreams for an hour, day, week, month, or longer. THIS PAGE Above: Relaxed living and outdoor entertaining were fundamental to studioMET’s design. Below: The house’s semi-circular shape places a focus on the internal courtyard. OPPOSITE PAGE: Simple geometric forms and strong horizontal lines embrace the natural surroundings of this dream home in Magnolia. Floor-to-ceiling windows provide a constant view of the wooded areas and outdoor living spaces. The open concept kitchen seats ten and features counters from Illusion Stone and appliances from K&N Sales. ABOVE: Sophisticated entertaining is made easy with this custom wet bar. BELOW: Imagine waking up each morning to the peaceful, heavily wooded environs. ABOVE AND RIGHT: Designers Andrew McFarland and Gretchen McFarland, M.Arch., the current owners, worked with architect Eric Hughes of HR Design Dept to create a stunning, light-filled addition. View it on this year’s Rice Design Alliance 2019 Houston Architecture Tour. Bellmeade, first designed in 1926 by Charles W. Oliver for advertising executive Pierre L. Michael and sensibly rehabilitated in 1987 by William F. Stern, underwent a second major renovation recently by homeowners Andrew and Gretchen McFarland. Working with architect Eric Hughes of HR Design Dept, the couple increased the footprint of their 3,300-square-foot home by constructing a 1,400-square-foot addition plus a 600-square foot garage. “They were able to adapt their older home for their family but still keep the landscape and scale of the house and preserve the outdoor space,” says Hughes. What they built was a two-story addition — a master suite and a family room upstairs — over a glass-enclosed sitting area that enhanced the pool and courtyard. Andrew McFarland is an architect and his wife Gretchen is an interior designer, so the trio collaborated on the architectural changes to make the addition look seamless to the original stucco house. And, to make it work, there had to be some sacrifices. The teal paint is dark and dramatic, though side windows, a glass door and pop-outs help make the intimate bedroom feel airy and bright. Room sizes were scaled down to match the existing house in the limited area for the addition; challenges also included working around the air conditioning and heating system. But, Hughes says, the final product turned out to be spectacular. Starting with the compact courtyard and the new pool and spa, Hughes says they adapted them to seamlessly become part of the landscape behind a wall as well as the entry into the house and a glass enclosed room. This new room, a more formal sitting area, has bifold doors on both sides, allowing the area that connects the house and the addition to be a flexible indoor-outdoor space for the family. The upstairs of the addition is a large family room for relaxing and television watching and nestled behind it is a private office. The remainder of the upstairs is the master suite: a series of rooms that loops around the addition. First visitors enter a private sitting room that leads to a very, very small bedroom — only large enough for a bed and a credenza. The path then leads to a large closet, then the bathroom and another closet, before exiting adjacent to the upstairs office. and the subdued oak wood floors help to create a soft look to the rooms. The house is still Mediterranean and covered in white stucco with the clay tile roof, but the floor plan now has been adapted from an early 20th century home to one that meets the needs of a busy 21st century family. The Bastrop historic district has more than 130 sites listed in the National Register of Historic Places. The 1892 H.P. Luckett House on Church Street is on the walking trail of historic homes. Houston’s premier builder of no-maintenance patio covers offers the best price and service available. Call today for a free estimate and design. Made in the Shade, llc. handeliers are the crown jewel of any room. They’re functional, providing a light source suitable for tall ceilings, grand entryways, the dining room table or even an eclectic bathroom. With thousands from which to choose, the options also can be mind boggling, ranging from crystal and glass to rustic, Art Deco, vintage or futuristic. Here’s our take on some of the most interesting pieces in the area. The S teinbach Haus is Castrovilleâ&#x20AC;&#x2122;s Visitor Center. Built in Walbach, Alsace, France between 1618 and 1648, the house was a gift from the citizens of Alsace to Castroville because of the Alsatian roots of the original immigrants that settled here in 1844. The fachwerk framing was shipped to Castroville and Alsatian volunteers came and rebuilt it, and then donated most of the period piece furnishings. Poppies are the provincial flower of Alsace and many sites in town are planted with them. Check our website for hours of operation. Clockwise from left: 1. Foreground: The miniatures class displays plants that have been grown primarily for flowers or for foliage. Background: Saint John the Baptist Preaching in the Wilderness by Anton Raphael Mengs. 2. The September 2018 issue of Vogue with Beyoncé, photographed by Tyler Mitchell. Gucci dress. Lynn Ban headpiece. Floral headdress by Rebel Rebel. Photo by Tyler Mitchell. 3. In 2017’s botanical arts category, the challenge was to create a couture gown using an array of natural elements suitable for Neptune’s Ball. 4. A floral design from 2017’s “Waves” theme, with the requirement that all or part of the design must be visible under water. 5. Proof that the classic Adirondack chair fits in anywhere. Florescence - “Time” opens up a plethora of presentation ideas according to event chairs Meg Tapp (The Garden Club of Houston) and Carmen Knapp (River Oaks Garden Club). “[The theme] needs to be something that is a little vague so that it can be interpreted through the art of the flowers. You have creative license,” they add. The idea is to allow spectators to see the arrangements born from artists’ minds as they use the theme as a catalyst to ignite their inspiration. One might find photos of flowers in picture frames for a play on “time frame.” In the next room, designers could be making Kentucky Derby hats for “race against time.” There may be pressed plant materials for “once upon a time,” or the floral arrangements could be a reimagining of a current exhibit in the museum. Barrels, Drums, Buckets, Jugs, Jars, Pumps, Cans, Pails, Lids, Bottles, IBC;s, Tanks, & Bags. hat a lucky boy. Bentley was found on New Year’s Eve by a kind person who saw him running near Beltway 8. He had some wounds along his face and side, but he’s all healed now. Bentley’s an energetic, two-year-old border collie mix who would love a family that can keep him busy. He’s about 60 pounds of fun, and he could use some brushing up on his basic obedience. Bentley is sure to keep everyone smiling with his cute expression and silly antics. To learn more about adopting Bentley, please visit HoustonSPCA.org/adopt or come meet him at the Houston SPCA today! MALE ID #379134 2 years old Border Collie mix The Houston SPCA, 7007 Old Katy Road, is open seven days a week, Monday through Friday from 11 a.m. to 7 p.m. and Saturday and Sunday from 10 a.m. to 6 p.m. to make choosing the adoption option as easy as possible. REFERRALS AVAILABLE www.creativeimprovementsllc.com Room Additions • Roofing • Painting • Carpentry • Electrical • Plumbing Doors • Siding • Decks • Interior & Exterior Repairs. Remodel Kitchens and Bathrooms. Granite Countertops. M-F 10-5 • Sat 10-6 • Sun 12-5 or Appoint. 18 YEARS EXP. • FREE ESTIMATES WE DO REMODELING! Central Vacs with Retractable Hose Systems are the Ultimate Cleaning Convenience! We Stain Fences and KEEP the Water Spots Off. For Your Home and Garage Call or stop by our Showroom today for more information! Don’t let mosquitos keep you indoors another summer. The Mosquito Guy mosquito misting systems. SAVE 10% with this ad! Specializing In Hardwood Lumber, Plywood and Moulding. HANDSCRAPED HARDWOOD Starting from $3.79 Sq. Ft.
HANDSCRAPED LAMINATE - 12mm Starting from $2.59 Sq. Ft. Installed. All trim included. Limited time offer. Installed. All trim & pad included. Limited time offer. Present this ad at time of purchase. Not valid with any other specials. TILE Starting from $2.69 Sq. Ft. GRANITE COUNTERTOPS Starting from $27.99 Sq. Ft.
Includes installation. Limited time offer. Installed including 1.5” bullnose. Limited time offer. CARPET Starting from $1.09 Sq. Ft.
LAMINATE Starting from $2.29 Sq. Ft.
Includes installation, padding and removal of all carpet. Limited time offer. Includes installation trim & pad. Limited time offer. 20x20 PORCELAIN TILE Starting from $3.19 Sq. Ft.
ANDERSEN HANDSCRAPED HARDWOODS Starting from $4.99 Sq. Ft.